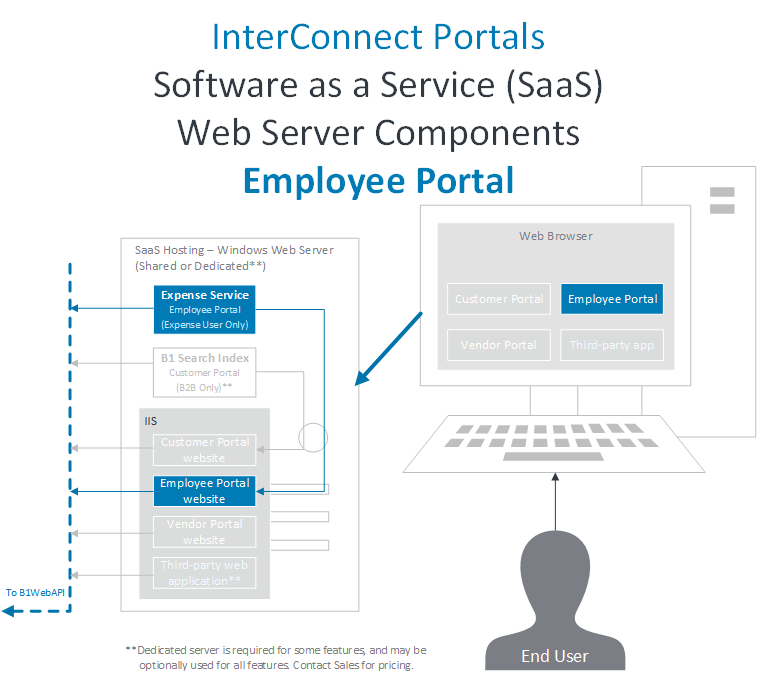 Best practice is to install Employee Portal on a web server that is separate from the SAP Business One server, as shown in the architecture diagrams. A Web Server separate from the B1 server should be used to host the Employee Portal website. 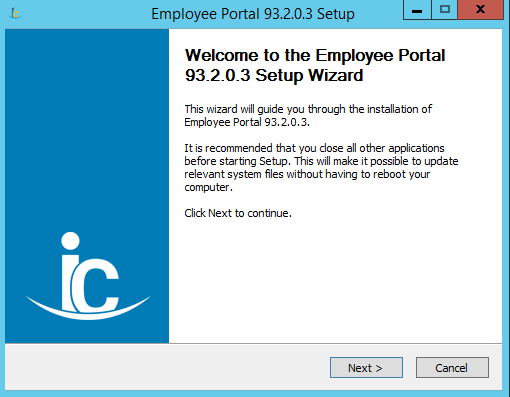 Run the Employee Portal installer on the web server. 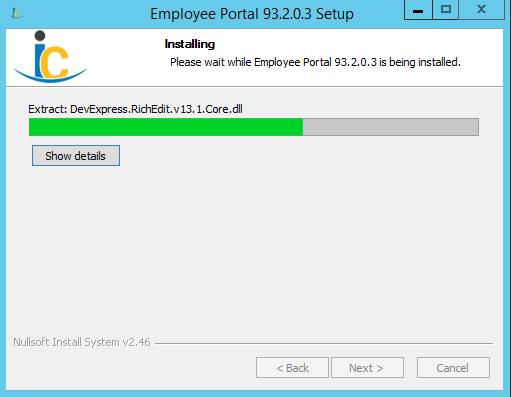 Press Next on the Employee Portal installer to proceed. 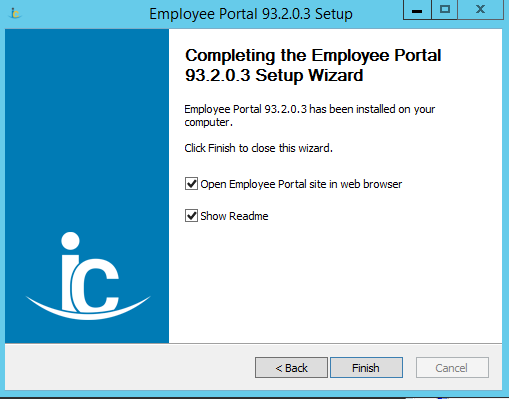 Employee Portal will install Employee Portal web files. Install Expense Service will install the Windows Service to support optional Expense User features. Only select this option if implementing Expense User. Choose the desired Employee Portal components and use the Next button to proceed. 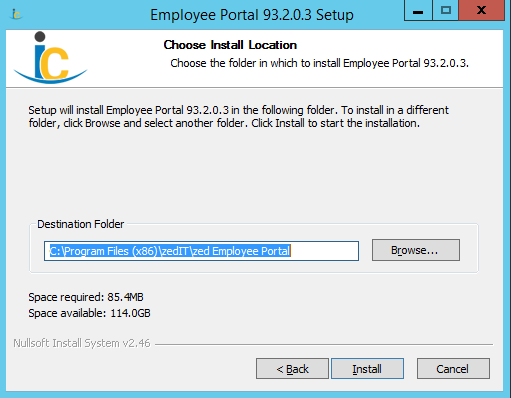 Choose the Install Location for Employee Portal web files. A separate Portal website installation must be completed for each SAP Business One company. 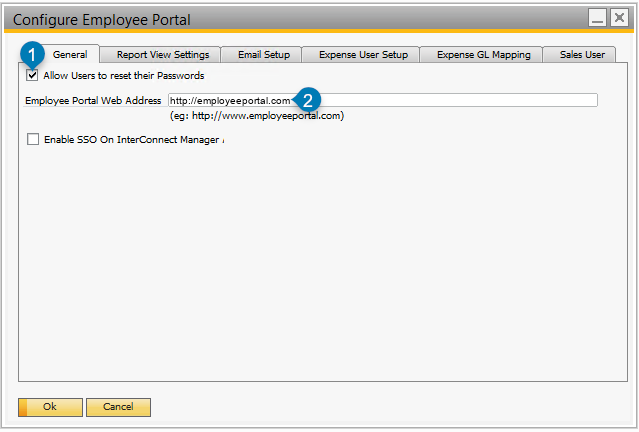 Choose or create a location where Employee Portal components will be installed. Press the Install button to proceed. Installing progress will be displayed. Wait for it to complete before proceeding. 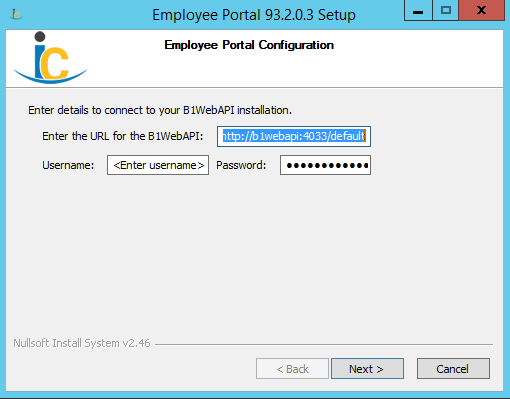 Configure Employee Portal to connect to the previously installed B1WebAPI. The Username and Password were set up during installation of B1WebAPI, which must be used here. If there are multiple B1WebAPI profiles, the profile must be referenced in the field marked “Enter the URL for the B1WebAPI”. For example, DEMO profile would be configured with the URL: http://servername:4033/DEMO. 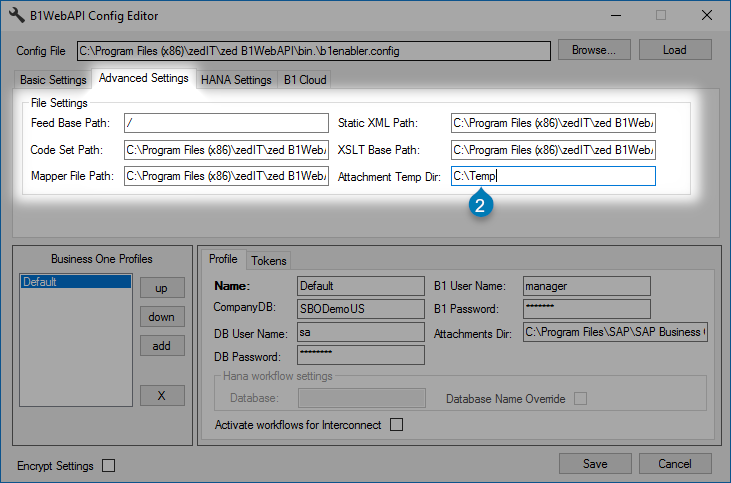 If no profile is specified in this screen, the first B1WebAPI profile will be used. Shown here: B1WebAPI connection information for Employee Portal. 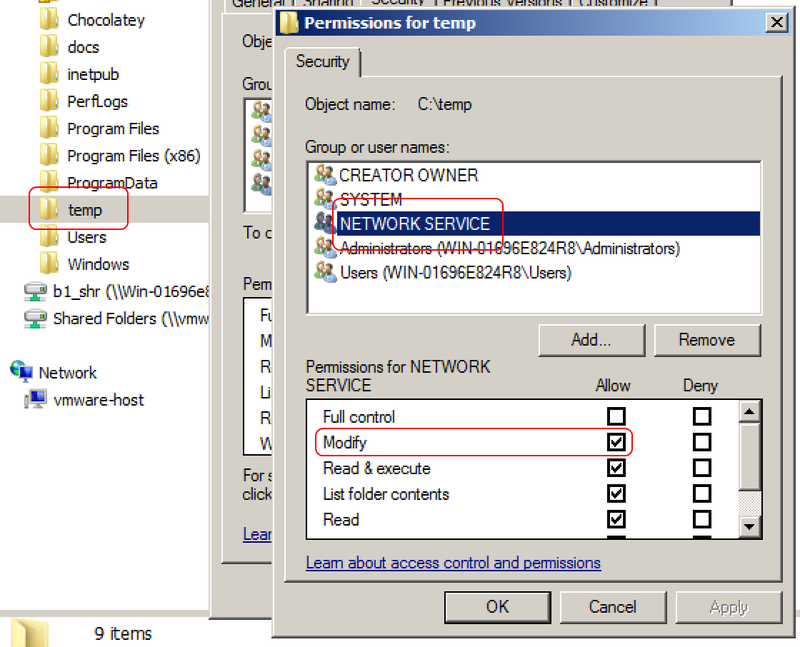 Shown here: sample B1WebAPI connection settings, as per B1WebAPI setup. If the option to Install Expense Service was selected, a command prompt will briefly appear to display the progress of the Expense Service installation. Wait for it to complete before proceeding. If the option to Configure IIS Website was selected, the following configuration screen will be displayed. Enter all details as described below. For a typical install, ensure “Name” and “Port” are unique and leave the remaining settings as default, then press okay. Generate New Website will create a new website within IIS for Employee Portal. Default settings can be used. 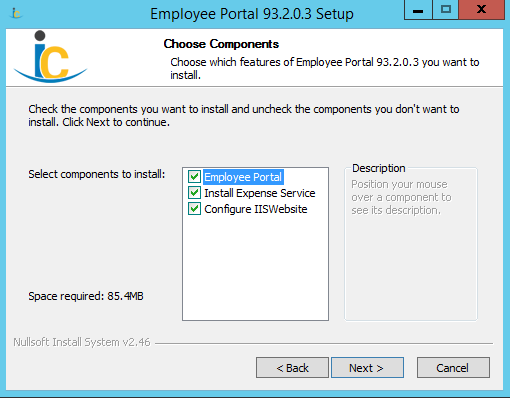 Name must be unique, so if multiple installations are needed, make sure all have different names, for example: Employee Portal Prod versus Employee Portal Test. 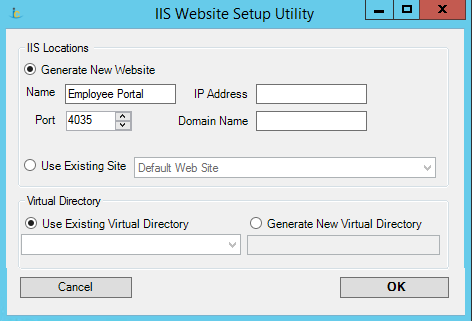 Use Existing Site will associate Employee Portal with the selected IIS website. 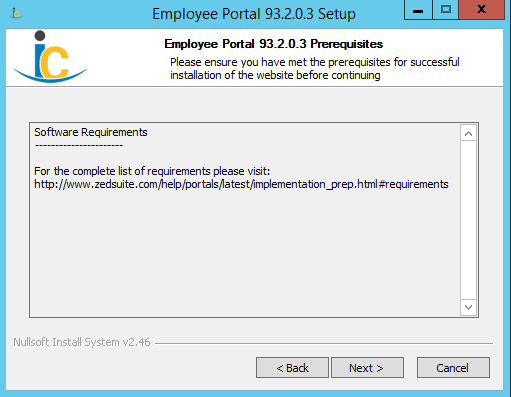 Configure IIS details for the Employee Portal website. Change the Port if more than one Employee Portal website is installed. Press OK to create the website. Press the Finish button to complete the Employee Portal website installation. Confirm that the Employee Portal website has been successfully installed by opening the website. 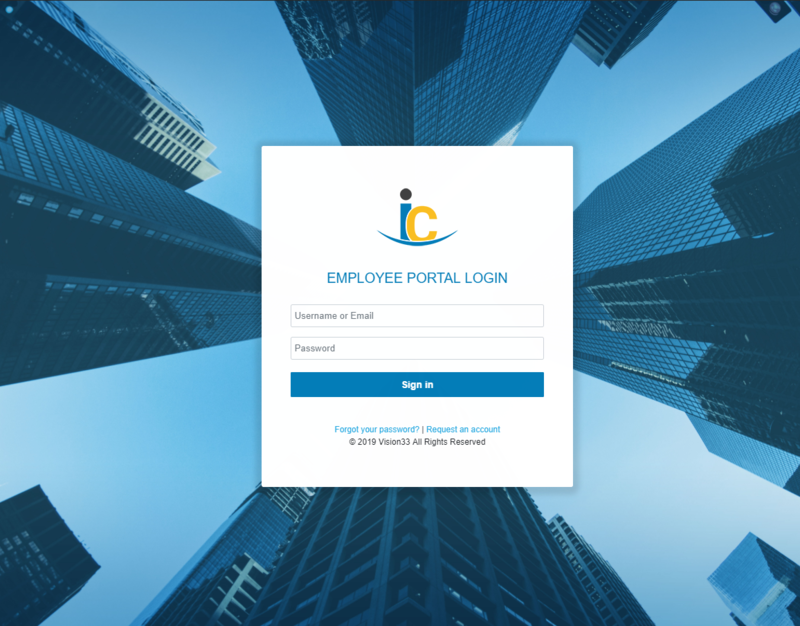 Employee Portal landing page will be displayed if the website has been successfully installed. 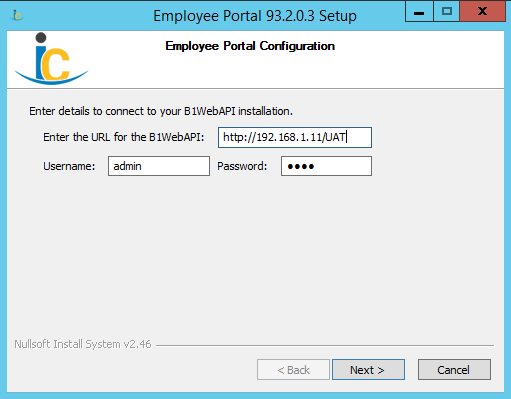 Minimal configuration is required for a new or upgraded installation of Employee Portal. Review the settings below and apply the most applicable configuration. Currency ISO codes must be assigned in SAP Business One for all currencies. If a currency doesn't have an ISO code assigned to it, then Portal websites will not display currency signs properly ($, £, €, etc.). If the website is not displaying currency symbols, then check the ISO codes for each currency, as described below. Note: Speak to your SAP Business One consultant if you need information on how currency configuration effects your environment. In most cases, ISO codes are already configured. 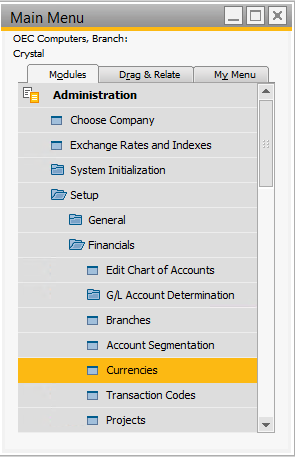 In SAP Business One, go to Administration > Setup > Financials > Currencies. For each currency, select a currency ISO code from the ISO Currency Code drop-down. Set the ISO code (1) and International Code (2) for each currency. For each currency, ensure the International Code contains a valid ISO Code, such as USD or CAD and not a symbol such as $. 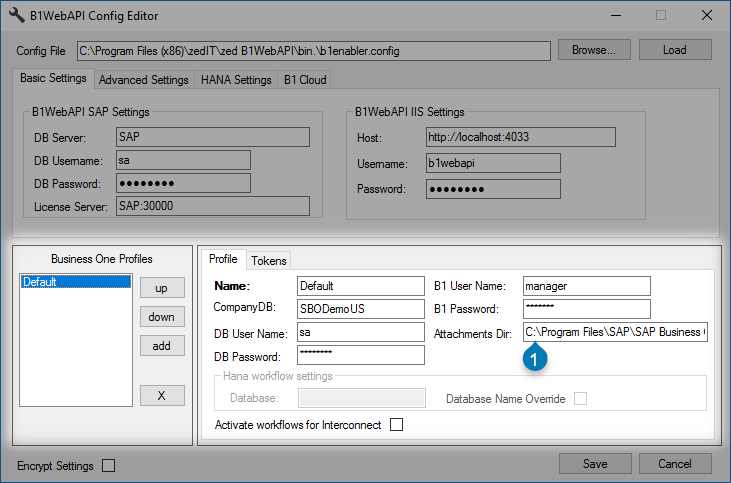 The settings below can be found in SAP Business One under the menu option: InterConnect Manager AddOn > Administration > Employee Portal Setup. Note that this is minimal configuration, and additional options may be applicable to your installation. Set Employee Portal Web Address on the General Tab (see marker 2 below). This will ensure future configuration settings can be applied to the web from B1. Set the Employee Portal Web Address. Email notifications can be used to alert Employee Portal users of actions awaiting their attention, or actions taken by another user. For example, Expense User managers need to approve pending expenses, while back-office staff can be notified when Sales Users place orders on the web. SMTP setup is required before emails can be sent by Employee Portal. Below is a description of the fields needed to configure an SMTP connection using InterConnect Manager Add-On. 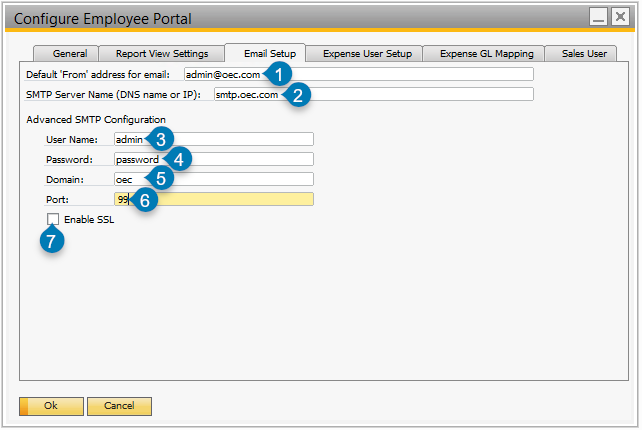 To open the Employee Portal SMTP settings, In SAP Business One, go to: InterConnect Manager AddOn > Administration > Employee Portal Config. Email Setup settings can be configured as needed. Generally, your IT staff will be able to provide credentials to connect to an SMTP email provider. A full description of each field can be found in Employee Portal Web Configuration Options - Email Setup. Once installation and basic configuration has been applied and Logging has been configured, visit the Administrator’s Guides. These provide walkthroughs of advanced configuration and admin tasks.